Your certificate will carry the Government of India logo as this Yoga Certification or accreditation is from the Government of India. The Institute who has certified you as a teacher or from where you have done your TTC is not the one certifying you. The accreditation certification is done by an independent third party. Further, three separate examiners evaluate you. This gives you much more credibility as a yoga professional. Even if you have not done any teachers training course but are a yoga teacher, this will give you very high credibility. 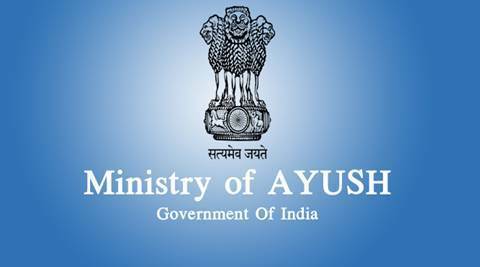 The certification scheme for Yoga Professionals is mentored by AYUSH and owned by Quality Council of India, which is a government body and in charge of quality control in various industries. The certification will be globally recognized. You will be listed as an accredited Yoga Professional in the All India Registry of Certified Yoga Professionals in Yoga Certification Board website which can be accessed by anyone. This gives you a competitive edge. This certification means you are a 'cut above the rest' and much more knowledgeable and professional. This gives a lot of comfort to employers, clients and organizations. You can claim that you are GOI and Yoga Certification Board certified in all your communication. The certifying body, Abhisti (through this website), is itself accredited by National Accreditation Board for Certifying Bodies (NABCB) and follows the requirements laid down NABCB and Yoga Certification Board. Accredited yoga professionals over a period of time will be able to command a higher price for their services compared to others. This accreditation means that the accredited person is a well rounded Yoga Professional is not colored by their teachers training certifications or certain types of Yoga or certain schools of Yoga. The accredited Yoga Professional will be able to impart quality Yoga training not influenced by sects, types of Yoga, Institutes or religious beliefs. Clients and organizations can expect genuine and authentic Yoga training and inputs from experienced accredited yoga professionals who will not be promoting 'fad yoga' and exercises in the garb of yoga. Accreditation is an on-going process which also involves yearly surveillance of such certified yoga professionals. This will ensure that they remain in touch with true yoga and are always updated and in practice. You will not have to worry which yoga professional is good. This is the current dilemma. Any accredited yoga professional certified under this scheme will be of a certain minimum experience, knowledge and quality. So you now need not worry about whom to hire or retain. A register of such accredited yoga professionals is maintained by Yoga Certification Board. So you need not worry about misrepresentations. Accreditation means certification of competence in a specified subject or areas of expertise, and of the integrity of a person, agency, firm or group, or person, awarded by a duly recognized and respected accrediting organization. 2. Why is accreditation required? Accreditation is necessary for any person or institution in education or training to prove that they meet a general minimum standard of quality.